Located in the heart of Sugar Land Texas, the leading chiropractic health professionals at Total Chiropractic & Wellness Center are dedicated to helping you achieve your wellness objectives -- combining skill and expertise that spans the entire chiropractic wellness spectrum. Our goal is to provide you with the best chiropractic care in Sugar Land. Dr. Yvette Nadeau is committed to bringing you better health and a better way of life by teaching and practicing the true principles of chiropractic wellness care. We are the premier chiropractic and wellness center in Sugar Land offering non Surgical Treatment for Headache, Neck Pain Relief, Lower Back Pain, Sciatica Pain, and alternatives for surgery. We spend time in our private patient adjustment rooms addressing a patients complete health issues and concerns. We provide a thorough diagnosis using our expertise in wellness and nutrition. During your visit with us, Dr. Nadeau and our staff will create a custom plan of care and rehabilitation to maximize your health and recovery. The medical treatment and prognosis we offer our patients covers a wide range of medical issues affecting the body that include sciatica, carpal tunnel, back pain, neck pain, headaches and migraines, numbness and tingling. One of our most common and successful treatments for back pain here in our Sugar Land chiropractic facility is the use of Spinal Decompression. We encourage you not to settle for surgery so quickly. Let's explore some proactive non-surgical treatments such as chiropractic care, acupuncture, improved wellness habits, and corrective nutrition. Patients seeking treatment at Total Chiropractic & Wellness Center with Dr. Yvette Nadeau are assured of receiving only the finest quality chiropractic care through the use of modern chiropractic equipment and technology. Dr. Yvette Nadeau and the staff have a genuine concern for your well-being! If you are new to our chiropractor website, please feel free to discover and learn about Sugar Land chiropractic wellness. If you are interested in starting your journey towards wellness please subscribe to our award winning newsletter. If you are already a chiropractor newsletter subscriber, please explore the member wellness section of our website for wellness articles, resources, and health facts---specifically targeted by Dr. Yvette Nadeau to your wellness needs and interests. 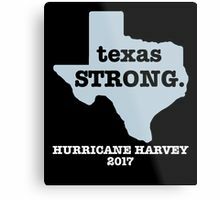 Dr. Yvette Nadeau, who is a Sugar Land chiropractor, and a team of volunteers recently organized relief efforts during Hurricane Harvey to gather and distribute supplies for those affected by the storm. Dr. Nadeau offered her chiropractic services to help first responders deal with the stress of the storm. "First responders are dealing with a lot right now and though I am a Sugar Land chiropractor, I want to help people all over the Houston area," said Dr. Nadeau. Additionally, Total Chiropractic & Wellness Center collected chiropractic equipment to help other chiropractors who had their chiropractic offices damaged by the storm. "As chiropractors, I just think we should all do our part to help chiropractors in Sugar Land and beyond succeed." If you would like to join our efforts, contact our Sugar Land chiropractic office today at 281-242-4476.